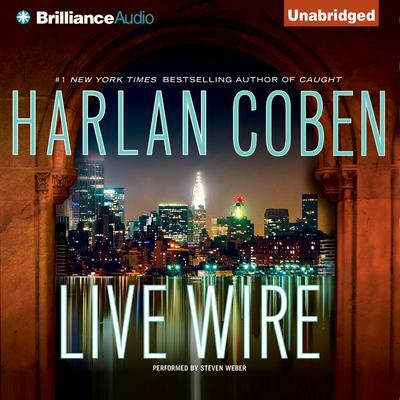 Harlan Coben has risen to the top of bestseller lists worldwide, attracting voracious audiences for his peerless novels of domestic suspense as well as those featuring his fan-favorite sports agent, Myron Bolitar. Now in Live Wire, he offers a knock-your-socks-off novel that will electrify all his fans: Myron’s family takes center stage. Myron Bolitar has always dreamed about the voluptuous femme fatale walking into his office and asking for help. The woman standing in his doorway has killer curves all right: She’s eight months pregnant, which kind of ruins the fantasy. Former tennis star Suzze T and her rock star husband, Lex, are both clients, and over the years Myron has negotiated his share of contracts for the power pair. But now Lex has disappeared and a very pregnant Suzze is in tears, fearing the online rumors questioning the baby’s paternity have driven away the man she swears is the child’s father. For Myron, questions of fatherhood couldn’t hit closer to home, as his dad, Al, clings to life; the brother who abandoned them all those years ago is in trouble; and Myron’s teenage nephew needs an authority figure. Myron is soon forced to confront deep secrets in Suzze’s past; his family’s mortality—and before Live Wire is over, his own.